Obtaining proper Philippine employment permits and working visas (9g) for foreign employees is mandatory and should be done prior to commencing employment. K&C understands the needs of foreigners working in the Philippines and will handle documentation, registration, and processing with the Philippine Bureau of Immigration and the Department of Labor and Employment (DOLE) so you can avoid dealing with time-consuming bureaucracy at government agencies. A 9(g) is a Philippine working visa for foreigners entering the Philippines to engage in a lawful occupation. In general, it must be shown that the services of the foreign national are indispensable to the management, operation, administration, or control of local or locally-based firms. The companies must petition their employees to obtain this visa. If the duration of the assignment is less than six months, a Special Work Permit application may be submitted to the authorities. If the assignment is for more than six months, the assignee shall apply for an Alien Employment Permit (AEP). An application for a separate Philippines Alien Employment Permit (AEP) is required as an accompaniment to the principal work visa application. This is not a travel document. It is issued by the Philippines Department of Labor and Employment. A Philippine Alien Certificate of Registration (ACR I-Card biometrics registration) may be required as an accompaniment to the employee and dependent’s applications. This is a mandatory requirement for travel outside of the Philippines. An Alien Employment Permit (AEP) is a document issued by the Department of Labor and Employment that allows a foreign national to work in the Philippines. This is normally applied in tandem with a 9(g) pre-arranged employment visa and applies to foreign nationals seeking employment in the Philippines, foreign professionals allowed to practice their profession in the Philippines, and Holders of SIRV, SRRV, Treaty Trader visa 9(d), Special Non-immigrant Visa for executive, advisory, supervisory, or technical positions. An employee must be petitioned by his/her company and it must generally be shown that no person found in the Philippines is willing or competent to perform the service for which the foreign national is hired. AEPs are valid for a period of one (1) year, unless the employment contract, consultancy services, or other modes of engagement or term of office for elective officers, provides for a longer period. Permits of resident foreign nationals shall be valid for multiple employers provided they report changes in their employment status and the identity of their employers to the DOLE Regional Office which issued the permit. In addition to the Alien Employment Permit, foreign nationals must obtain a provisional permit to work pending the approval of the 9(g) visa. 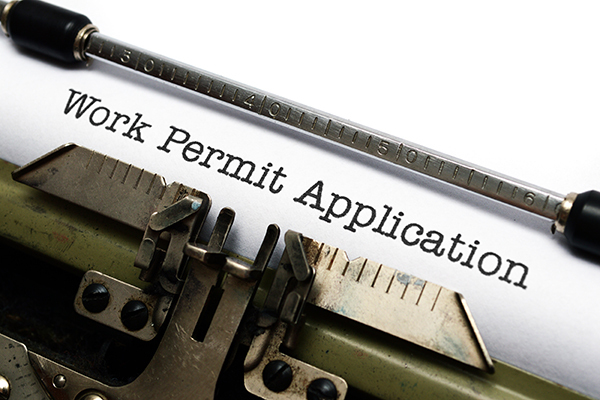 This permit is issued by the Bureau of Immigration and is normally valid for a period of 3 months from issuance. The Bureau of Immigration will not issue a 9(g) working visa unless and until the AEP from the DOLE is obtained. Disclaimer: Immigration laws in the Philippines may change without prior notice. New updates on eligibility for visa application, documentary requirements, processing timelines, length of validity of visa, and other information related to your visa application may arise any time. We recommend that you consult with our Immigration and Visa Specialists to stay up-to-date. Processing visa in the Philippines can be time-consuming, especially if you are not knowledgeable on what type of visa is appropriate for your planned legal entry into the country. Fortunately, we have a team ready to help you.